This week over at i heart faces is all about pets. Or I should say rather, animals, since it is also open to other animals than just pets. I should say that this is not my pet, but it is my mother-in-laws. She loves her horses, whereas they freak me out. I don't know why, they just do. So I never get close enough to them to take good pictures of them as there is always a fence in the way. So, I decided to start embracing the fence and make it part of the shot! Head on over to i heart faces to check out more lovely pets! Oooh, I love the peeking through the fence and vignette!!! 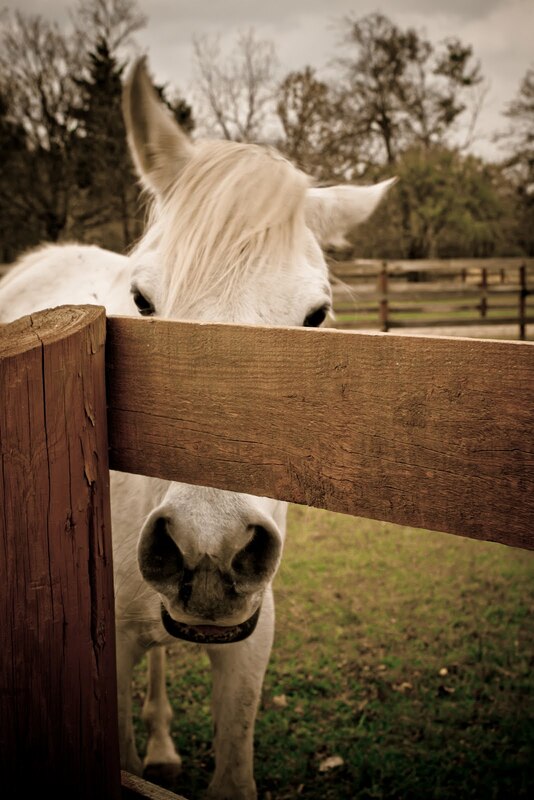 :) Great idea with the fence...love that he's playing 'peek-a-boo'! What a beautiful horse : ) Isn't it funny how different people like different animals? : ) It always amazes me.